The market was opened with a gap down, which helped the pair to renew its minimums. I think today the price may reach the level of 1.2880 and then start a new ascending movement towards the target at 1.3190. The structure of such movement implies that the pair may form another descending wave to reach the level of 1.2700. 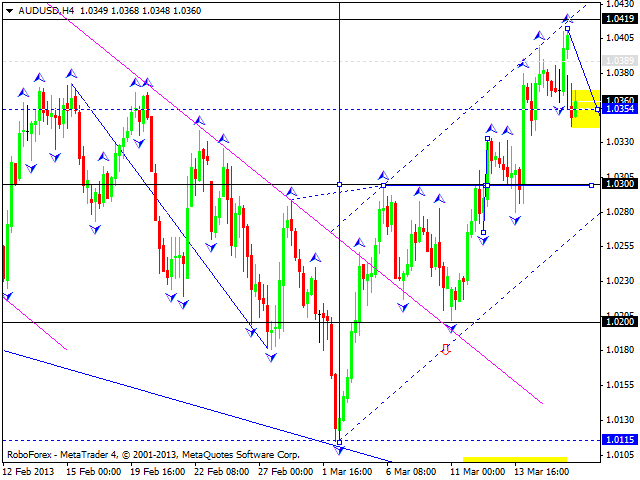 The GBP/USD currency pair is finishing an ascending wave. 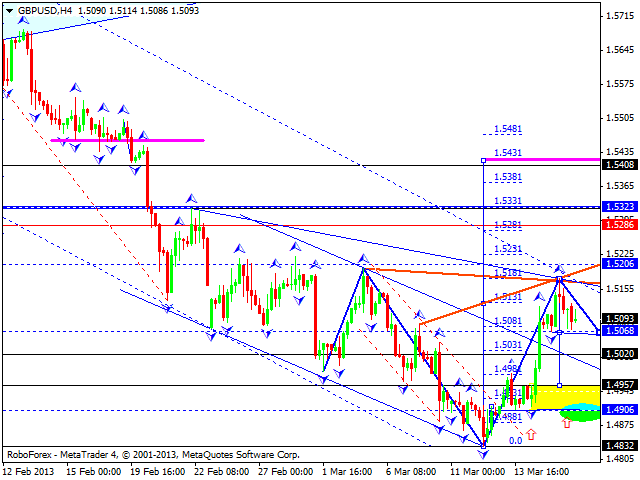 I think today the price may start a correction towards the level of 1.4960, or even lower, 1.4900. Later, in my opinion, the pair may start the third ascending wave; a predicted target is at 1.5300. 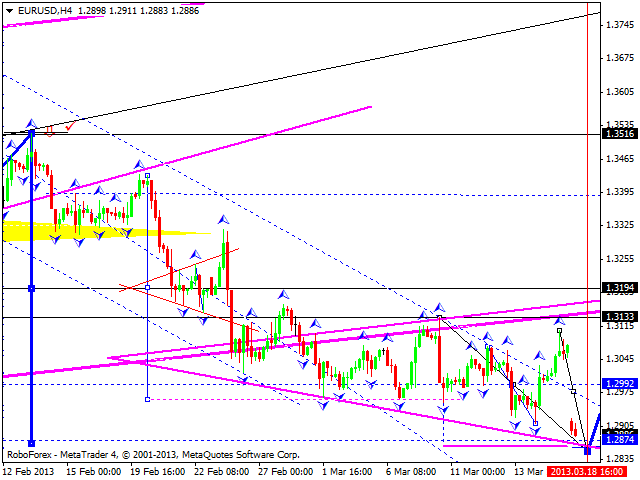 The USD/CHF currency pair is returning towards the area where an ascending channel was broken. I think today the price may test the level of 0.9470 from below and then start a new descending structure to reach the target at 0.9300. Later, in my opinion, the pair may from a consolidation channel, break it downwards, and reach the level of 0.9200. The USD/JPY currency pair continues its descending correction. 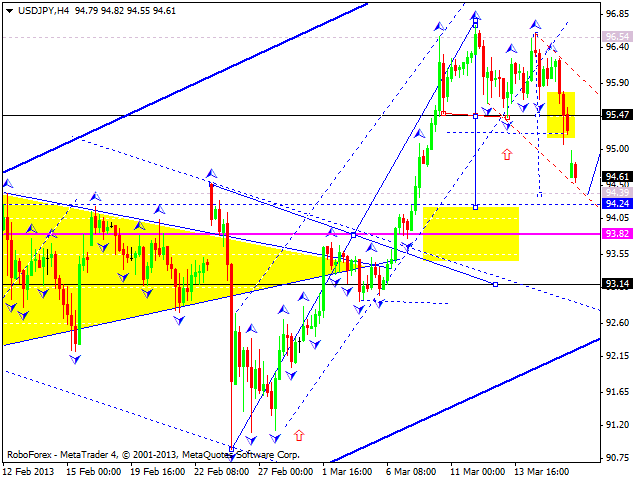 I think today the price may reach the level of 94.40 and then return to the level of 95.45. Later, in my opinion, the pair may form another descending wave to reach the target at 94. After this correction, the price may start a new ascending structure to reach the target at 100. 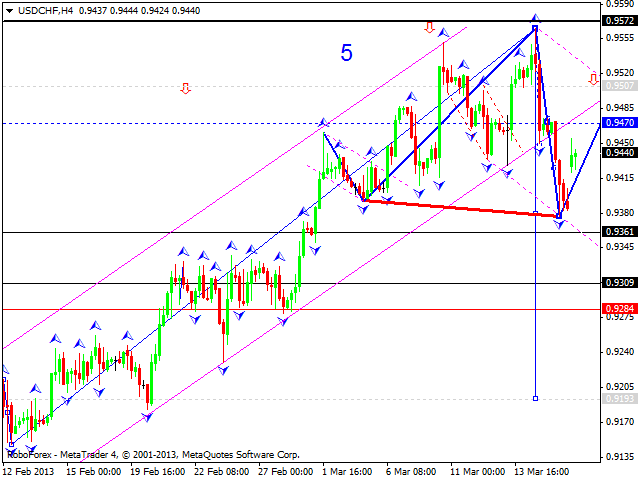 Australian Dollar is being corrected towards its previous ascending structure. I think today the pair may reach the level of 1.0300 and then start another ascending structure to reach the target at 1.0470. This may be the end of this correction and the price may start forming a new descending wave. 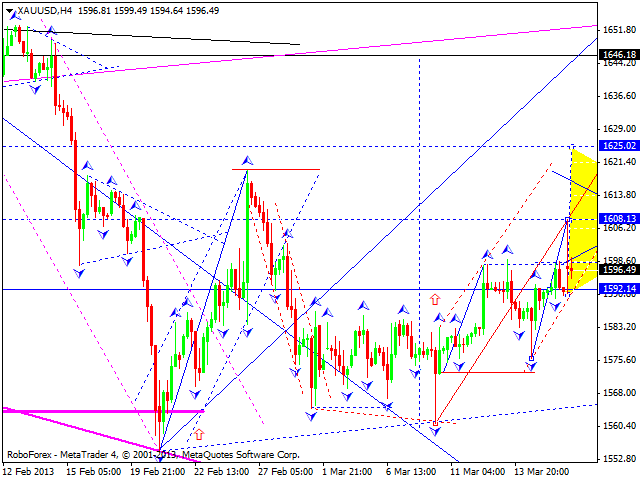 Gold reached the target at 1608 and right now is being corrected. I think today the instrument may form a consolidation channel near this level. The next target, a local one, is at the level of 1645. After reaching this target, the price is expected to start a new descending correction.